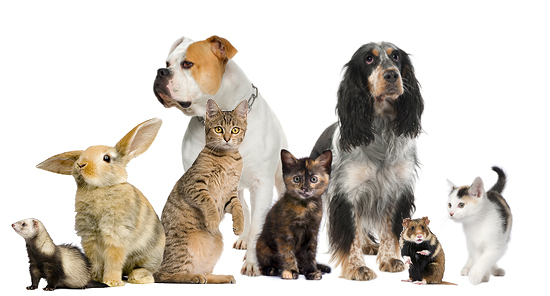 Here at Sierra Animal Hospital we will see and treat dogs, cats, pocket pets, birds and exotics — pretty much anything that will fit through the front door! Please keep in mind, however, that there are times when we may not be able to see certain types of animals because of the area of specialty for the veterinarian on duty. Sierra Animal Hospital does not see or treat horses, livestock, poisonous reptiles or spiders. We will not see or treat any animal that it is not legal to keep as a pet or to own in Arizona. Visting us for the first time? Visiting a new veterinarian for the first time can be a difficult process for both owner and pet. Here at Sierra Animal Hospital we want what is best for you and your animal. Please keep dogs on a leash at all times and please keep cats, ferrets or other pocket pets in their carriers. If the animal is potentially contagious or does not like other animals please inform the staff before bringing them into the clinic.